No Shopping, No Prepping, No Cooking...Just reheat & Eat! Restaurant quality meals prepared by professional culinary institute trained chefs, using fresh ingredients and delivered directly to you. We accept cash, checks, and credit cards please let us know how you will be paying when the order is placed. 24-48 hour notice is recommended for availability of all menu items. 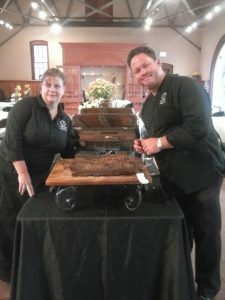 Custom Culinary Connections Inc is a reputable catering company that specializes in delivery of meals. All of our items are fresh and fully cooked. Once you receive the products they can be refrigerated for three days or can be frozen to be enjoyed at a later date. All products must be properly stored in order to guarantee a safe product. We suggest 24 hour notice for all orders. Some selections will be available on shorter notice. Delivery times will be arranged when order is placed. Ask about specials and feel free to make any special request. Lunch orders must be placed by 4pm the day before desired delivery. Special pricing can be arranged for parties of 8 or more ordering the same entrée. Delivery outside our delivery area can be arranged & an additional delivery fee according to the mileage/time will apply. Gratuity on a delivery is not expected, all employees are paid hourly by CCC2go. They can however be accepted if you wish to offer. An automatic gratuity charge of 10% will be added when set up and/or breakdown is required and for holiday deliveries. VA state prepared food tax (11%) will be added to all orders. Custom Culinary Connections Corporate fare is perfect for all levels of business. We offer drop off service, provide set up and breakdown and will service the event, if needed. Great for employee meals, daily or for special occasions, business meetings, client meetings, and for coffee break service. We also can deliver directly to your clients to save you the hassle! Special Events require special touches and that’s where Custom Culinary Connections comes in. We will take the worry out of your event so you can enjoy your function as much as your guests. We cater to all events including weddings, parties, showers, brunches, luncheons, dinners, and so on. Our superb attention to detail will make your event one to remember. 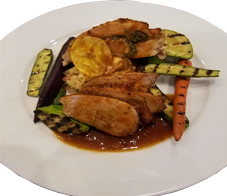 Copyright © 2019 Custom Culinary Connections.